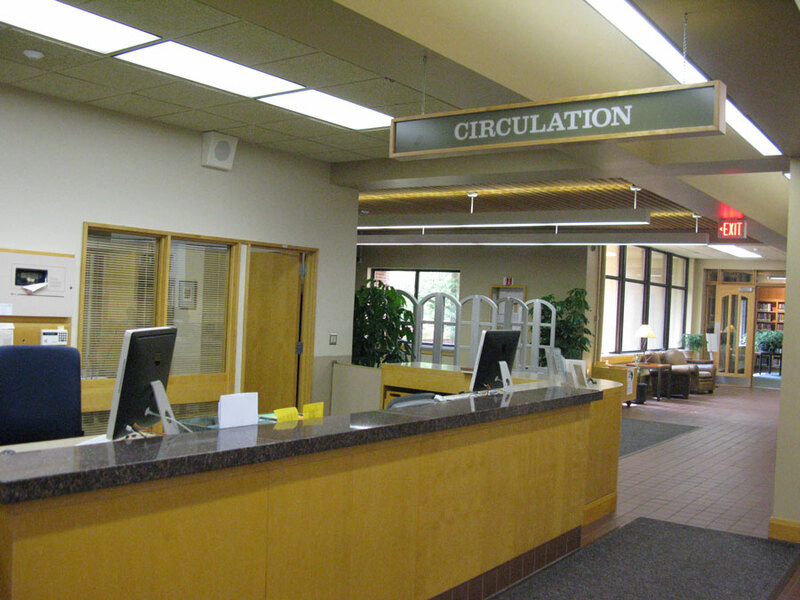 To the right of your entry are the circulation and reserves desks, behind which there are librarians and students workers ready to help you with any questions you may have. At both desks you can check out books and movies. You can come to the circulation desk to check out and return books and other materials, or if you have questions about your library account. 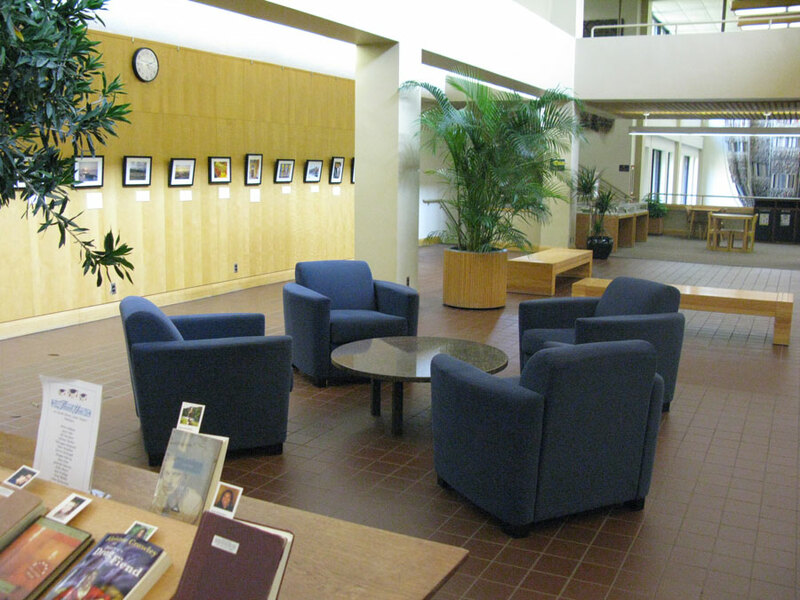 This is also where you come to pick up items you have requested from Carleton, St. Olaf, or through Interlibrary Loan. 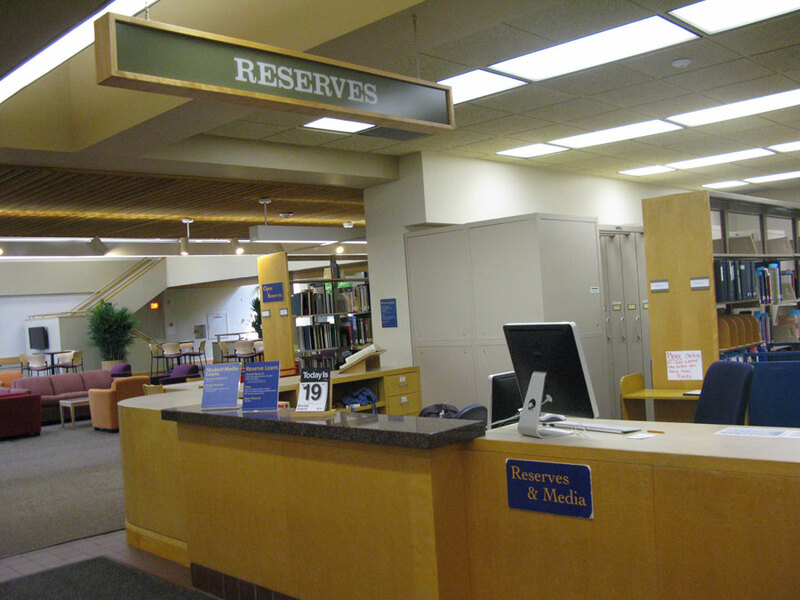 The Reserves desk is where you go to get books and other materials on closed reserve for classes. Professors can put books and DVDs and more on reserve, and there are two kinds of reserve: Closed, which is behind the reserves desk, and Open, which is on a shelf to the left of the Reserves desk. This is also where the media collection is housed. You can come here either to check out a popular movie you picked up in the Rookery, or get one of the thousands of movies that are behind the desk.